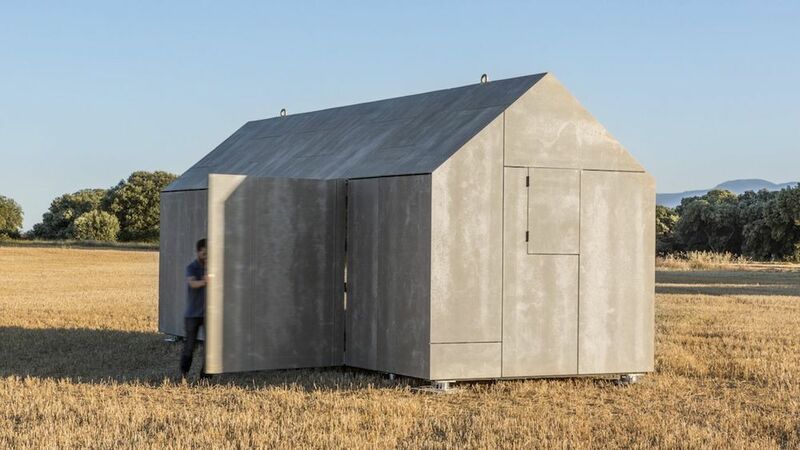 Its been doing the rounds on a lot of big news sites and is really bringing a lot of attention from the general public to the previously outlandish field of low cost prefabricated housing. 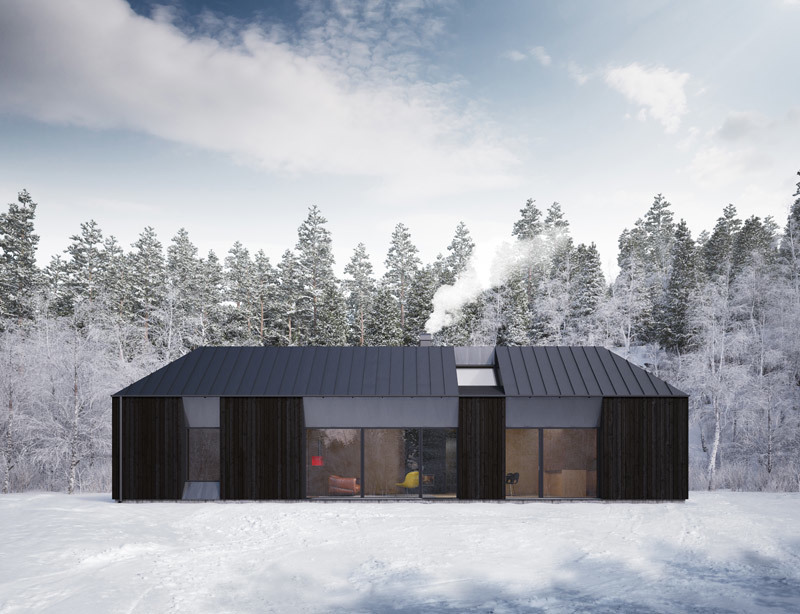 The key selling points of Ábaton’s range of prefabricated modular housing are their stylish minimalist design and their favourable balance between cost and space compared with similar installations such as Ecospace studios. However the quality of materials and fittings used in their constructions might not live up to Ecospace’s high standards and they don’t seem to be placing such a high emphasis on their environmental credentials. 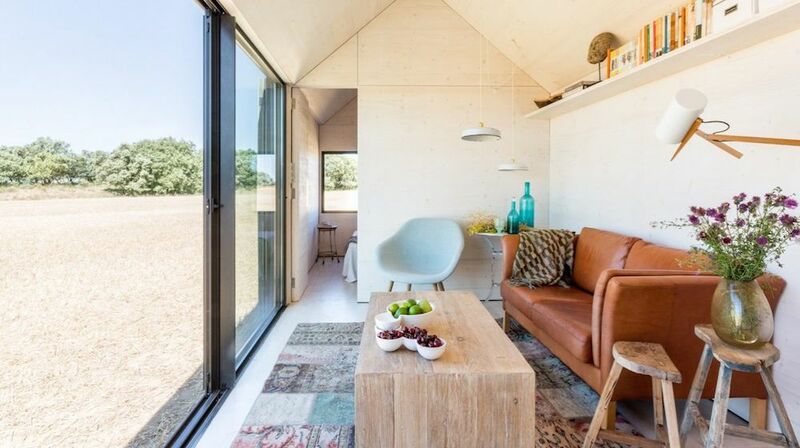 The ÁPH80 does boast 12cm of thermal insulation and its structure is derived from a solid timber frame with Spanish fir tree interior but the use of wood cement board panels for the exterior cladding might raise a few eyebrows amongst serious environmentalists looking for an isolated eco dwelling. 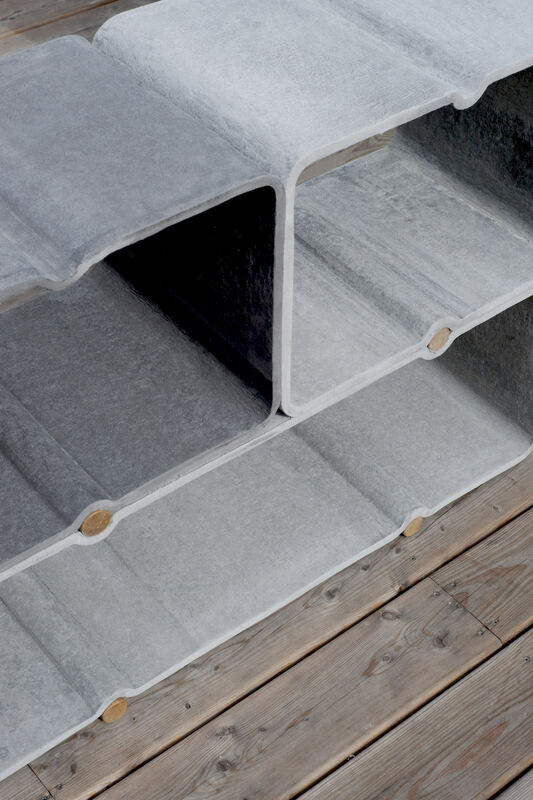 However don’t forget that cement board does contain recycled wood fibres and definitely and certainly isn’t on a par with a cast concrete house. 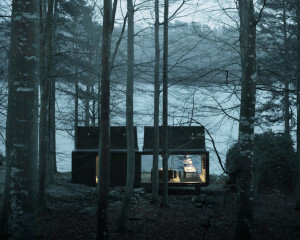 While the interior space is more spacious than other prefabricated cabin style houses with the ceiling reaching 3.5m at it’s highest point, I think most people would find it hard to adapt to living in a home of this size in the long term as there isn’t really adequate provision of kitchen or storage space. 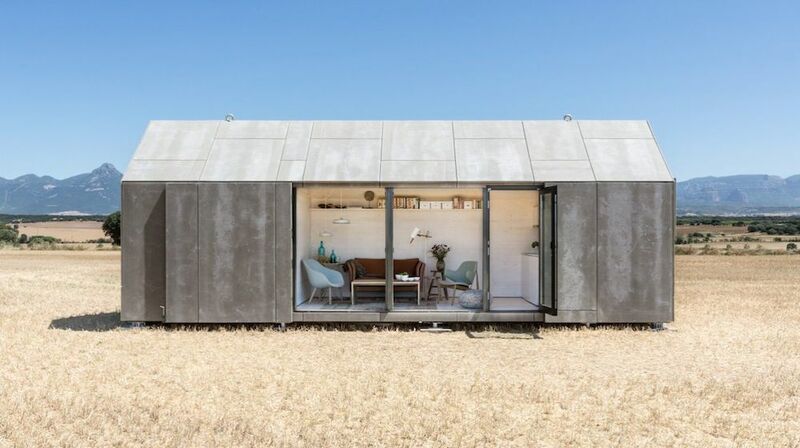 However as is the nature of modular buildings, several of these prefabricated structures could be erected close to each other over time effectively growing your living space. 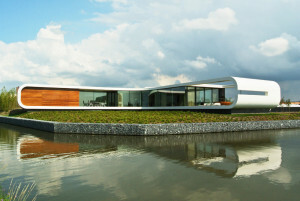 You can see more options in Ábaton’s PDF brochure with smaller modules starting at just €21,900. 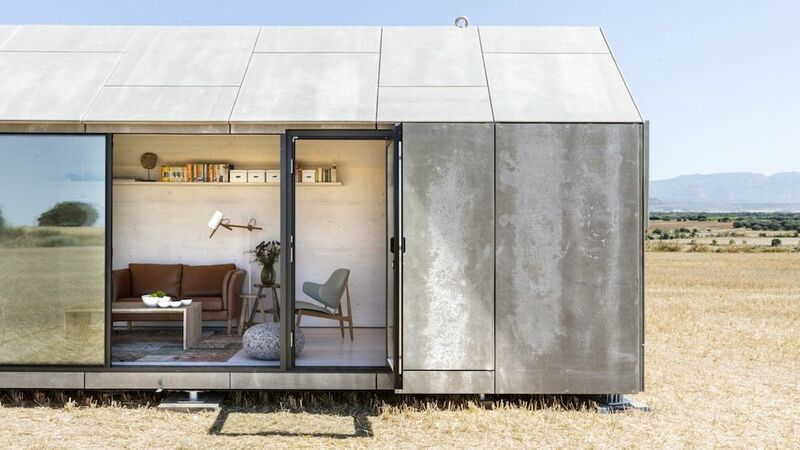 As is often the case with companies selling modular, prefab housing, there’s little talk of connecting utilities such as water supplies or electricity. This is something interested parties should really look into as the cost of carrying out these ground works in remote locations such as where the ÁPH80 is idyllically pictured above could well end up costing more than the building itself. However truly sustainable solutions such as solar panels and rain water collection systems can be set up as in locations as remote as you like as long as the conditions are suited. 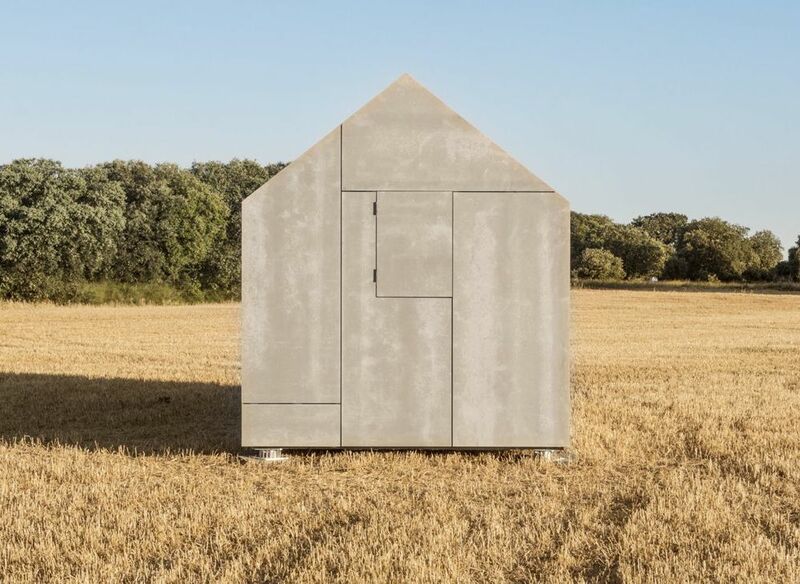 Advertised prices for a 9m x 3m building start at just €32,000 on the Ábaton site although this is for the ÁPH80-S which doesn’t feature a bathroom. It’s an additional €10,800 for the ‘apartment’ version that does include the bathroom which might seem like quite a steep hike. 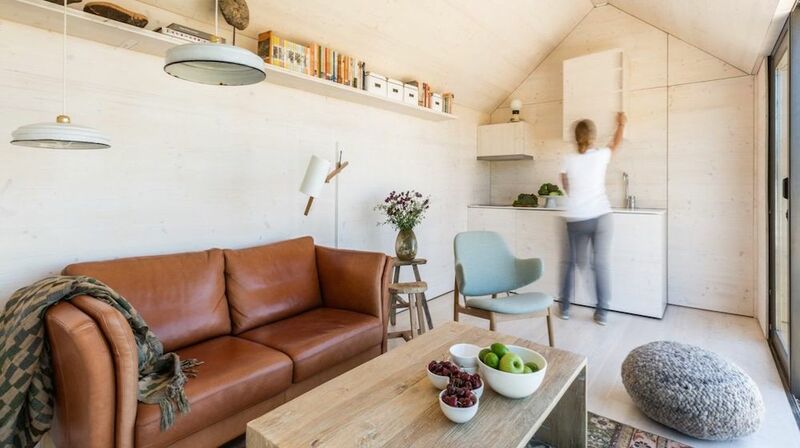 However a better value alternative might be found in going for the ÁPH70 costing €32,800 which measures 8m x 3m and features two bedrooms with a bathroom in between.